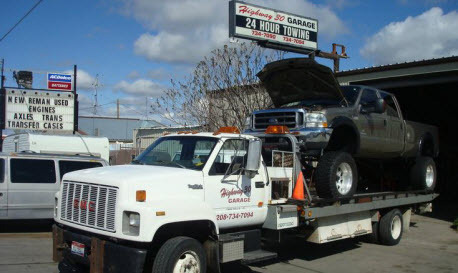 Highway 30 Garage was built on the notion of providing outstanding, expert solutions to Magic Valley motorist’s auto and transportation needs, from emergency towing and roadside assistance, to auto diagnostics and repairs, to new and used auto parts. Since 1979, our primary goal has been to create a hassle free partnership with our customers to get you back on the road quickly and easily. Our mission is to service your vehicle as quickly as possible so that you experience the least amount of delay in getting back to your more important daily activities. We offer a host of specialty services to cater to the unique needs of our clients in the greater Twin Falls region and Magic Valley area, and all at the best possible price. 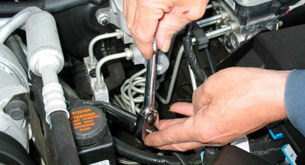 We are dedicated to making your first call to Highway 30 Garage confirm that you have made the right call! Remember – you can call us at your next accident! No one ever plans to get in a wreck but when you do you can rest assured that we will take care of your vehicle, allowing you to care for yourself and your passengers! If your car or truck can’ be fixed on the spot, we’ll tow it anywhere you like; to your home or our garage where we’ll get it running and you back on the road in no time! 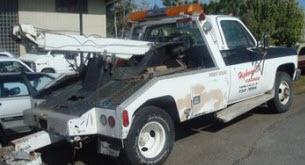 Towing and Roadside Assistance - Call our Towing, Recovery & Roadside Assistance division whenever you're in need. Automotive Diagnostics, Repair & Customization - Everything from Scheduled Car Maintenance to Repairs to complete Engine Rebuilds. 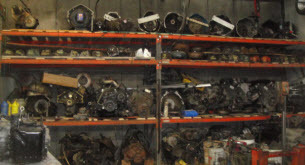 Quality New, Remanufactured and Used Auto Parts – We specialize in Remanufactured Engines and Transmissions.